Washington sits right on top of Oregon, in the Northwest corner of the continental United States. It’s a beautiful state, featuring rivers, a mountain range, and pacific coastland. Basically, you can find whatever nature you’re in the mood for. That also means plenty of inspiration for level design. 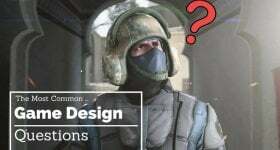 Speaking of level design, we’ve put together a list of four great schools where you can learn more about all facets of game design. Our methodology includes a few different ranking factors: Faculty caliber, alumni satisfaction, employment after graduation, and strength of the program. For now, worthwhile video game design college programs are few and far between. You’ll notice that this list, along with our other game design school lists, are short. That’s allowed us to go more in-depth on what you can expect. The numbers do not denote any kind of rank, they are there for article clarity. The Academy of Interactive Entertainment first opened a campus in Canberra, Australia. Since the first campus opened in 1996, the school has gone on to open six more campuses. The Washington campus is located at the Seattle Center – students have the opportunity to learn game design, game art and programming near the Space Needle, Museum of Pop Culture and the Pacific Science Center. AIE is Nationally accredited by the Council on Occupational Education, allowing them to offer federal financial aid and the Post 9/11 GI Bill. The alumni from the Academy of Interactive Entertainment have gone on to do cool things in big places. Have you played World of Tanks? Mass Effect? Bioshock? Fruit Ninja? Those games were all made by AIE alumni. Alumni have gone on to work at DreamWorks, LucasArts, Jim Henson’s Creature Shop, Sega, EA Games, Ubisoft, Konami, and many, many more. Additionally, all of AIE’s Game Art and VFX program students receive an Artstation prime membership. What’s great about this school is that everything about it is up to date and effective. Sometimes with colleges you’ll get bogged down trying to get a nice, well-rounded education. At AIE, you jump right into the game-making action. You’ll have the most up-to-date 3D animation and game design technology at your disposal. Your education will be hands-on, in a studio environment, and will be industry-focused and practical. Let’s talk a little about the two game-oriented program options. By the time you’re ready to graduate, you’ll have designed a complete game level. You’ll also have an impressive reel showcasing your animation and 3D modeling portfolio. Without game programmers, there’s no “game.” There could be a very pretty looking husk, but there wouldn’t be anything to actually play. Entrance into both program paths requires a portfolio submission, among other things. The portfolio contents will be different for both paths, and should reflect the skills and proficiencies in areas most relevant to the path you’ve chosen (check the website for specifics). Both programs are 2 years long, and in the second half of the second year, students from both disciplines join forces in development teams to create a playable video game demo. Sounds pretty good, right? If you want to see and play some of the games that students have created, you can check them out in the DigiPen Game Gallery. Some games from DigiPen have won awards at competitions. Portal and Portal 2 stemmed from games spawned at DigiPen. It’s a good place for making games. The Bachelor of Arts in Game Design will give you a solid foundation for pursuing a modern game design career. You’ll have the collaboration and communication skills necessary to tackle game design in the large teams where the magic happens. DigiPen will equip you with a number of skills and a wealth of knowledge in areas like art, audio, technology, design, and even psychology. You can expect to cover topics such as game history, 2D and 3D level design, game mechanics, character design, game aesthetics, play-testing, and more. Your “base” knowledge topics will cover drawing, mathematics, music, animation, computer science, and others. Plus, you’ll dip into economics, communication, and writing. All in all you’ll be pretty uniquely equipped to tackle different challenges in the game design world. The Bachelor of Science in Computer Science and Game Design is almost like a double major. It’s almost like you’re getting a computer science degree and a game design degree. It’s a lot of work, but it will make you that much more marketable after graduation. You could work as an engineer or designer depending on what your project calls for. If you have strong mathematics skills and aren’t afraid to work hard, the Bachelor of Science in Computer Science and Game Design could be the path for you. You’ll cover similar game design and development topics as those students in the Bachelor of Arts program, but you’ll also cover linear algebra, C, C++, scripting languages, and other computer science topics. You’ll also be exposed to psychology, communication, and writing courses. DigiPen has a neat way to describe what you’ll do as a game designer, saying your role is “ultimately about breathing life into every aspect of what would otherwise be lifeless code and static pixels on a screen.” That’s quite an undertaking–and now that DigiPen has made you aware of the challenge, they’re willing to prepare you for it. While not as extensive a program as a two year or four year offered at two of the other schools on this guide, there is a time and a place for a certificate program. You’ll have hands-on experience as you balance and playtest different games. You’ll go in-depth on the elements that keep players interested. You’ll turn around and apply this as you create your own game prototype, which you’ll actually pitch to industry executives. 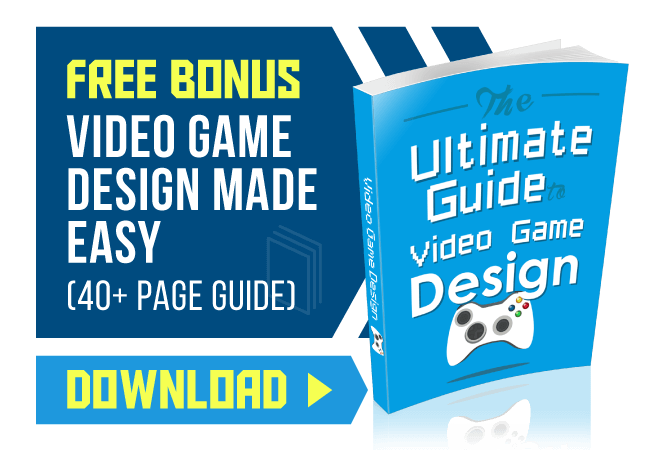 The course is geared towards game designers, game developers, and anyone interested in taking a go at it themselves, in an indie game or entrepreneur fashion. The instructors are active in the realm of video games. Two of them are credited in popular Xbox LIVE games released in the past, and a third served as lead designer for the third edition of Dungeons & Dragons. 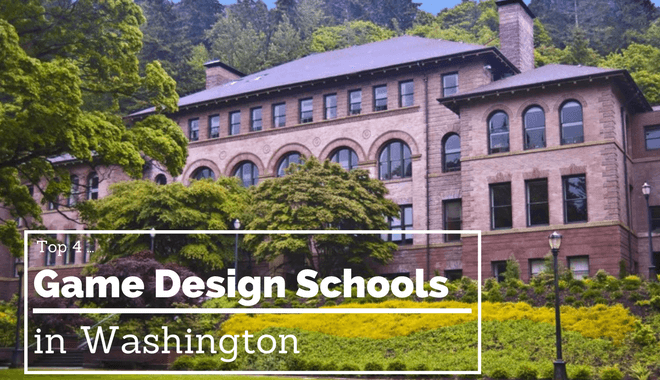 If you want to fast-track your success, or if you’re just looking for a taste of what the video game industry is like, give some thought to the Certificate in Game Design program at the University of Washington. For the first time in its history, Lake Washington Institute of Technology is going to offer a full-blown bachelor’s degree in Digital Gaming and Interactive Media. This goes into effect in the fall of 2017, so later this year. They already offer an Associate’s Degree in Digital Gaming and Media, so students who have are about to complete their associate’s degree can transfer into the bachelor program. An Associate’s Degree in Graphic Design also spells transfer eligibility for those who hold one. While the course information for the bachelor’s degree isn’t yet listed, there’s plenty to mull over in the Digital Gaming Associate’s Degree sneak peek. You can expect to develop your storytelling abilities, as well as your digital development skills, for both characters and environments. You’ll receive a well-rounded education in design and art, in addition to game production. This program hits the creative side of game design, as opposed to the mathematics and engineering side of game design.